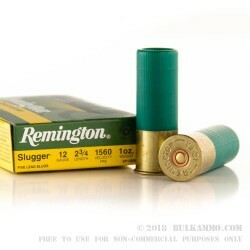 These 12 gauge slugs from Remington can extend the reach of your smoothbore shotgun to bag deer at ranges far beyond those of even the most powerful buckshot loads. 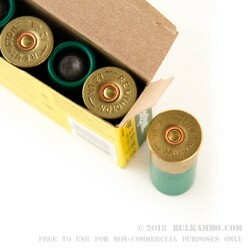 Each 2-3/4" shell in this case of 250 (containing 50 boxes of 5) fires a one ounce (437.5 grains) projectile at a muzzle velocity of 1,560 feet per second. 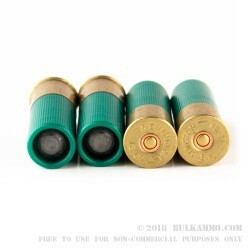 Each slug is slightly oversized for a better seal against the barrel wall; this enhances accuracy so you can bring down targets at 100 yards or beyond. 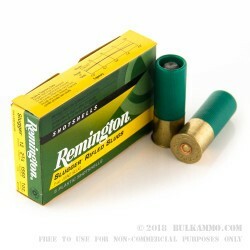 Remington shotshells are loaded in Lonoke, Arkansas; the company is one of very few manufacturers of both shells and shotguns. Great price (for the times) great service, expedited shipping, I am very happy with the power and consistency of this ammo should bring home the venison this fall. Q: What is the FPS for these slugs? A: Hello LJ, Remington lists the velocity of the Remington Slugger at 1560 fps.